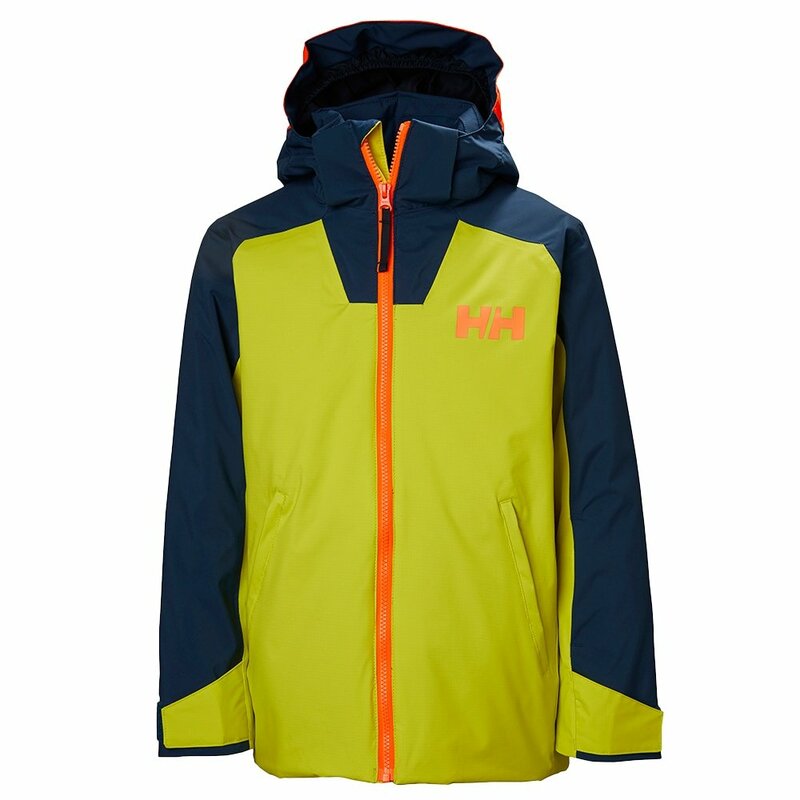 Great looks and even better features make the Helly Hansen Twister Insulated Ski Jacket an obvious choice for the young, progressing skier. This jacket's multi-colored Helly Tech® Performance fabric delivers waterproof-breathable protection enhanced with an adjustable powder skirt. The high-visibility hood panel means he'll be easy to spot, on the slopes and at the base. High-tech features like the smartphone battery-protecting Life Pocket™ and the RECCO® reflector ensure he's prepared for a trip to the mountains.